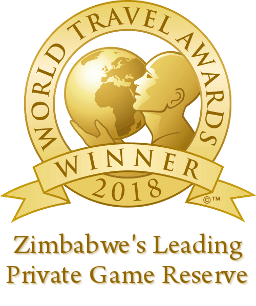 A beautiful brick-under-thatch lodge situated on the water’s edge with a stunning view of the lake and the bush beyond situated a short walk across the bridge from the main lodge area. The spacious double-volume (dorm style) interior opens onto a large veranda with plenty of space for a group to sit back, relax and enjoy the scenery. The perfect lodge to share with your family or favourite people, it features a small basic kitchen, two spacious inter-leading en-suite bedrooms plus an upstairs loft. Acacia sleeps up to twelve people in total. Please note: The number of beds per room can be adjusted to suit guests’ specific needs, but a minimum of four guests is required to book the lodge.